Hercules Fence is a lot of things. We are experts in residential, commercial and high-security fences. We are the largest fencing company based in Northern Virginia. We are known for our quality work and friendly customer service. And we are also very passionate about community service. We understand that giving back and supporting our local communities is paramount in building a better Virginia. This past summer, Hercules Fence was presented with an opportunity to work with Shirley Contracting’s Metro Earthworks Division and the Ronald McDonald House Charities of Greater Washington DC. Hercules Fence donated a new pressure treated wood fence and gates (and installation too, of course!) to the Ronald McDonald House of Northern Virginia. The finished product looked great, but don’t take our word for it. Just look at the picture to the right. 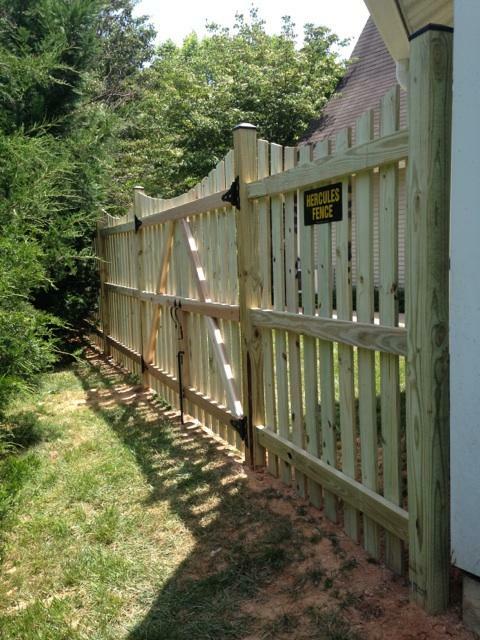 In late 2013, Hercules Fence partnered with Ben Bieryla an Eagle Scout Candidate from Troop 52 in Front Royal, Virginia, to build an addition to the Humane Society of Warren County. Hercules Fence donated the chain link fencing, and Ben and his group did the rest. The new additions will greatly enhance the facility’s ability to care for abandoned, abused, and homeless pets. Hercules Fence is proud to have partnered with the Boy Scouts of America and the Human Society of Warren County on this important project. This entry was posted on Wednesday, January 7th, 2015 at 2:04 pm. Both comments and pings are currently closed.